The Chinese are finicky when it comes to preparing tea, regarding it as nothing short of an art to brew a cup of tea with a fine color. aroma and flavor. After thousands of years of experience with tea. They have turned the activity of serving and enjoying their everyday cup of tea into an art of daily life. 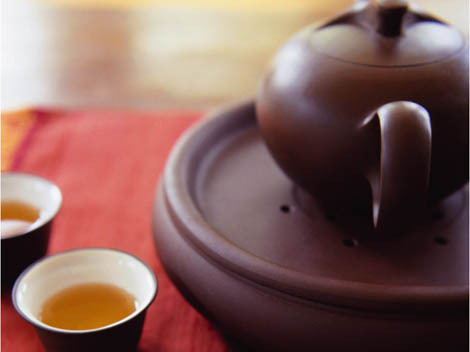 The environment in which the tea is served is another aspect the ancient Chinese, expecially the classic and elegant types. attached great importance to. Tea appreciation used to be held in a carefully selected environment, preferably a place surrounded by natural scenery to lend people a poetic mood.